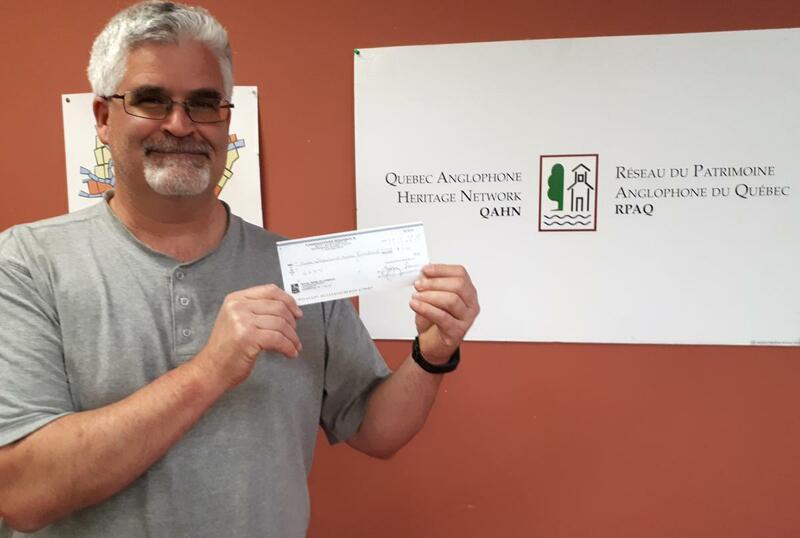 QAHN is pleased to announce that it has just received funding from the Chawkers Foundation, with the help of its community partner the Townshippers' Foundation, to continue its educational programming and outreach activities -- and more specifically, its popular "Heritage Talks" lecture series, launched in 2017-2018. The amount of the Chawkers grant is $10,000. QAHN Executive Director Matthew Farfan is delighted with the support. "We're really grateful to the Chawkers Foundation," he said, "and for for the foundation's recognition of the work we're doing to bring quality educational programming, particularly in terms of the heritage and history of Quebec's English-speaking population, into Quebec's regions. This is what QAHN's mission is all about." Farfan said that QAHN would be laying the groundwork for a second round of "Heritage Talks" in the coming weeks. Events will take place at heritage and cultural venues around Quebec, he said, and will be similar in format to the talks held this past winter and spring. The 2017-2018 program varied widely in theme. For example, one Montreal conference (by historian André Cousineau) focused on a tragic school fire that occurred in the city in 1907, claiming 17 lives, including a young teacher (Sarah Maxwell) who perished helping her pupils to safety and for whom a local park has been named. A conference in Knowlton, by Caitlin Bailey of the Canadian Centre for the Great War, examined corporate profiteering during the First World War. In Stanbridge East, participants learned about the history and ecosystem of the Pike River in southern Quebec. A talk by Grant Myers explored the deadly outbreak of spotted fever that devastated local communities and families in southern Quebec in the nineteenth century. Two talks spotlighted Aboriginal heritage. In Wakefield, guest speaker Chief Roger Fleury led an impassioned discussion on archaeological findings from an Anishinabe (Algonquin) cultural site near the confluence of the Gatineau and Ottawa rivers. This event was packed, and one attendee called it "a game-changer... Canadians are interested in learning and engaging more with respect to Indigenous issues." QAHN continued its exploration of Canada’s First Nations heritage in Ormstown, where Mohawk storyteller Darren Bonaparte enthralled over 200 students at Chateauguay Valley Regional High with a presentation on Haudenosaunee (Iroquois) culture and diplomacy, as recorded through the medium of wampum. "The 2018-2019 program should be just as interesting," Farfan said. "Stay tuned!"